A delicate cleansing gel based on marine hyaluronic acid stimulator and witch hazel. 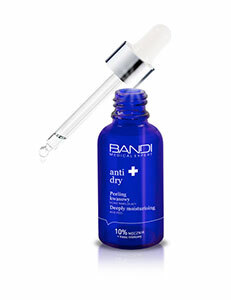 Raises the moisture level of the epidermis, restores skins ability to retain water. It is gentle to the natural hydrolipid layer and helps to maintain the natural pH of the skin. Soap free (free from SLS and SLES). It effectively removes sebum, impurities and make-up residue. Indications: Effective cleansing for all skin types. An advanced line for make-up removal and cleansing which restores the natural protective barrier of the skin of the face, neck and décolletage. A wide selection of products for all skin types allows to remove make-up in one or two stages. Created using gentle cleansing, moisturising and stimulating substances to maintain proper firmness of the skin and its daily regeneration. In the morning and evening, put some gel on the palm of your hand and mix with a little water. Apply to the face with circular movements. Next, rinse with plenty of water.